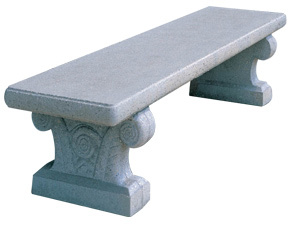 The straight concrete park bench features a square classical style. This precast concrete park bench will beautify any setting. This concrete park bench features a stylish old world look with the durability of steel reinforced concrete. Little or no maintenance is needed. This charming traditional precast concrete park bench is ideal for high traffic areas and offer a touch of architectural class. These precast concrete park benches are perfect for any area that demands additional seating space and an upscale design. This bench is available in multiple colors shown below.